Why should I rebuild a table after dropping or adding a column? If we look at the database page, we will be surprised to see the large number of ‘a’s. While a select * from our table will not return the dropped column, it still uses physical space! So what will happen if we add a few columns to our table? SQL Server can accommodate fixed length columns with up to 8000 bytes of total length. We currently should use 8 bytes (two times four for the two integers) plust a bit of overhead. Creating or altering table ‘wastedSpace1’ failed because the minimum row size would be 8215, including 7 bytes of internal overhead. This exceeds the maximum allowable table row size of 8060 bytes. These operations will be expensive, because likely all the database rows will be modified. However, this is the price for the speed of the ALTER TABLE DROP COLUMN operation, which is just a meta data operation. It is nice to see however, that SQL Server 2005 and 2008 has improved since 2000 in respect to these schema operations, and many repeated column add/drop operations do not always result in wasted space. With variable length columns the amount of wasted space is not that significant, but it still exists. It is worth while exploring the system_internals_partition_columns system view and see where fixed length columns start (these are the ones with a positive number in the leaf_offset column), and check if they form a contiguous row data area. If you are interested to hear more about the hows and whys of the above problem, come to my session at SQL Bits 4 in Manchester on 28 March 2009. Also, if you happen to be in Neuss, Germany 22 April 2009, do come to my session at the European PASS Conference where I’ll be talking about the various ways to pass parameters in SQL Server. 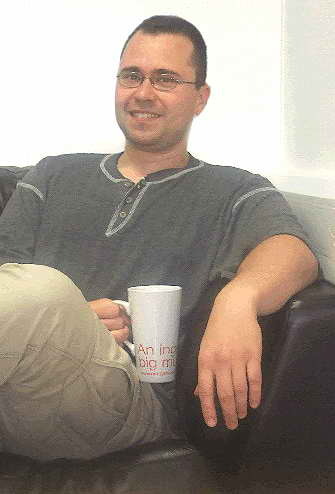 András Belokosztolszki is a software architect at Red Gate Software Ltd. He is a frequent speaker at many UK user groups and events (VBUG, NxtGen, Developer’s Group, SQLBits). He is primarily interested in database internals and database change management. At Red Gate he has designed and led the development of many database tools that compare database schemata and enable source control for databases (SQL Compare versions 4 to 7), refactor databases (SQL Refactor) and show the history of databases by analyzing the transaction log (SQL Log Rescue). András has a PhD from Cambridge and an MSc and BSc from ELTE, Hungary. He is also a MCSD and MCPD Enterprise. See my blogs on simple-talk.